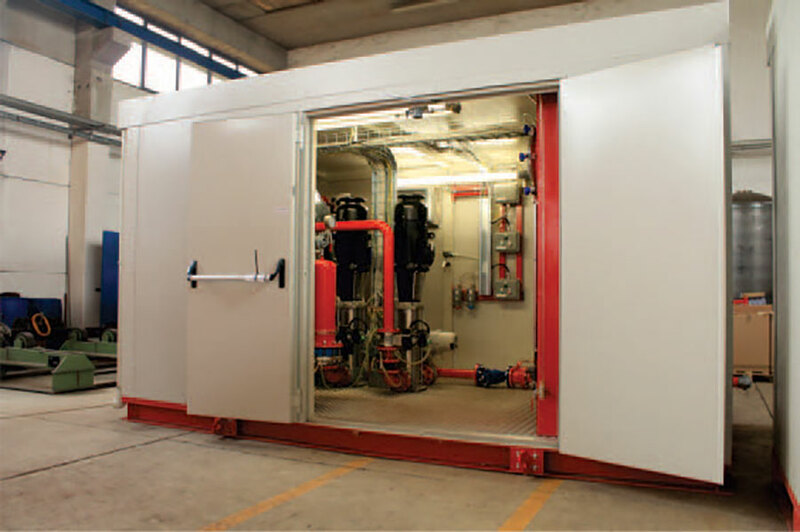 Container systems are designed to house ﬁreﬁghting equipment especially where the user needs a stationary ﬁre protection system with the possibility to move it to another place in future. C.S.I. S.r.l. designs and constructs custom-made containers as completely ready to use solutions according to customer speciﬁcations. Overall dimensions of the containers are personalized on request and according to the expected function. C.S.I. S.r.l. recently realized an order, to design and realize ﬁreﬁghting containers to store the desired amount of foam concentrate to mix it into ﬁrewater and to distribute the solution to several consumers as ﬁxed ﬁre protection systems. The containers are made to measure on request. The Perimeter walls and the roof constructed from 2-hour ﬁre resistant panels. The basement and internal supports are constructed from structural carbon steel. Whole construction calculated to handle Seismic, wind and snow loads and the said construction carries a CE marking according to EN 1090. Enclosure heating and ventilation system is provided with electronic controllers commanded by temperature transmitters consist of a heater fan and an over pressure damper. Foam concentrate is sucked by foam concentrate pumps and pushed into MA model automatic mixers to create a foam solution. Flow Automation and direction is realized by intelligent valves commanded by a remote computer via redundant Modbus protocol. Foam pumps and automatic MA model mixers are duplicated to have a main and a reserve system. A pressure-regulating is valve provided at main water inlet to protect the complete system from an excessive pressure. 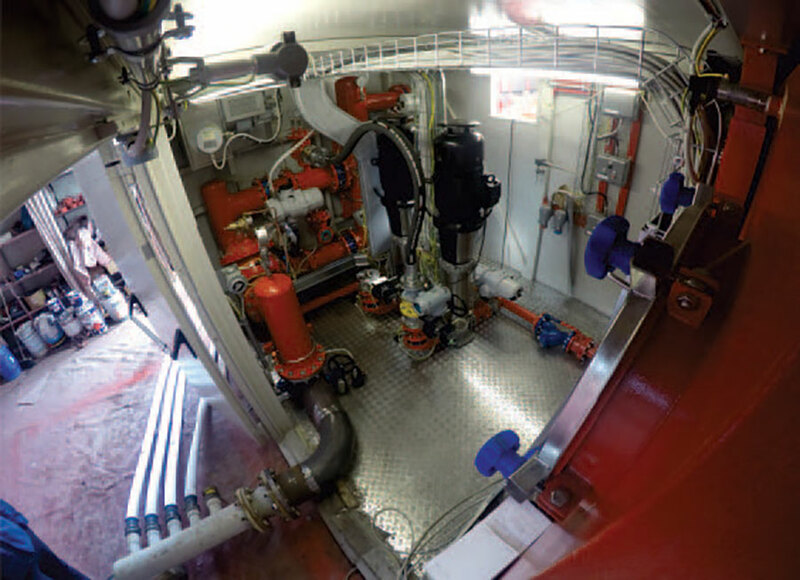 All internal piping, ﬁttings and the foam concentrate tank are constructed in stainless steel 316 materials against corrosion and low temperature use. All cabling, junction boxes, electrical and mechanical equipment carry ATEX certiﬁcates.